Learn about topics that are important to your success with GunBroker.com. 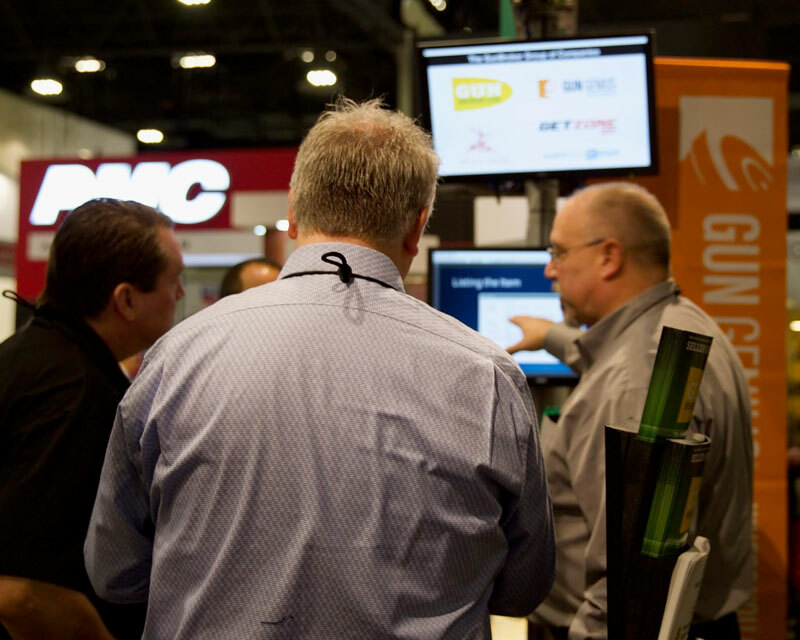 Ask to hear our presentations given by the GunBroker.com Team at Booth #15147. New updates and functionality to manage your items. New updates to GunBroker.com Checkout. What to do after the sale. Become a GunBroker.com Seller and list your items. Tips to make your listing stand out from the crowd. Accept offers on items using GunBroker.com’s newest selling format. Spin to Win – Chance to win a Springfield Pistol!! PLAY OUR SLOT MACHINES – Everyone is a winner! Stop by Booth #15147 to win a free prize playing our Free Play slot machine! In celebration of GunBroker.com’s 20th anniversary, we have collected a special lineup of prizes, including a jackpot Grand Prize of a Springfield Pistol! Grand Prize: Win one of 6 Springfield Pistols! Details below. Play the GunBroker Free Play Slot Machines in Booth #15147 for a chance to hit the Jackpot and win one of 6 Springfield Pistols! You must be a permanent U.S. Resident, 21 years or older. The Grand Prize (Pistol) will be shipped to an FFL of your choosing located in your home state. Winner responsible for FFL Transfer fees and must be able to pass a NICS background check. If for any reason you are unable to complete the firearms transfer, the prize will be forfeited. All Federal, State and Local Laws apply. We reserve the right to withhold, substitute or modify the grand prize as it pertains to the rules and laws of the winner’s state. GunBroker.com employees, affiliates, contractors, including family members of those listed, are not eligible to win. The winner will be required to have a valid driver’s license or other proof of identification and will be required to complete an ATF Form #4473 and pass a NICS background check at a local firearms retailer holding a Federal Firearms License. Failure to comply with each of these requirements will result in forfeiture of the prize, and selection of an alternate winner in Sponsor’s discretion. The Winner will be responsible for any fees collected by the retailer to perform these services. All such fees or other expenses in receipt of the Prize shall be at the winner’s sole expense. The Prize is nontransferable, nonassignable, nonnegotiable, and not redeemable for cash or credit. The Prize must be accepted as awarded. No substitution of any prize is permitted except by Sponsor, who reserves the right (but has no obligation) to substitute a prize (or a component thereof) with another prize of equal or greater value if any applicable prize (or a component thereof) is not available for any reason as determined by Sponsor in its sole and absolute discretion. All expenses not listed above are the responsibility of each respective entrant. All taxes are the sole responsibility of the winner. GunBroker.com GOLD members get priority access and skip the line! 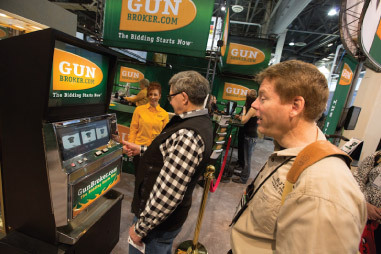 The GunBroker.com slot machines are a popular attraction. 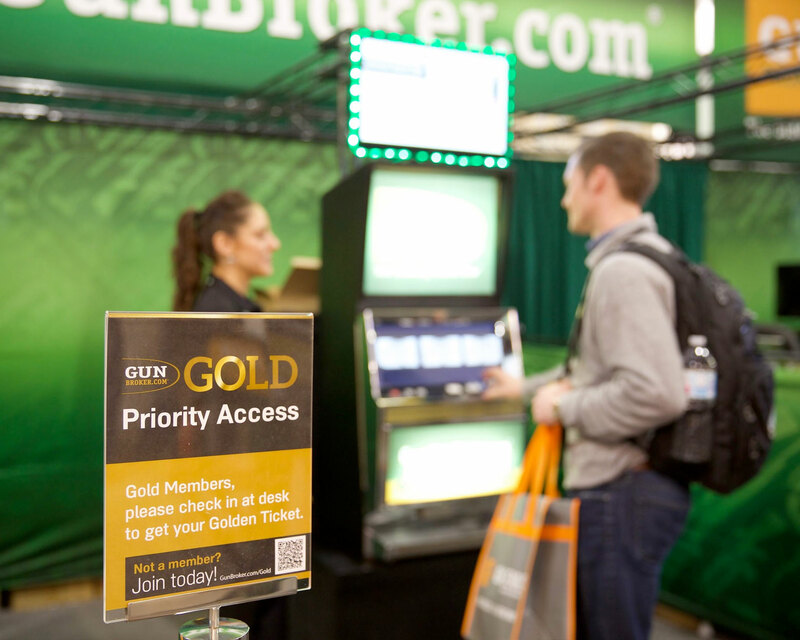 Gold Members get preferred access to the GunBroker.com Slot Machines with their special Gold Priority Line. Not a Gold Member? Join today and avoid the wait! Get your 20th Anniversary Swag! 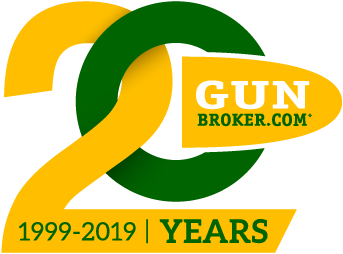 To celebrate GunBroker.com’s 20 years in business, we are giving out commemorative swag. 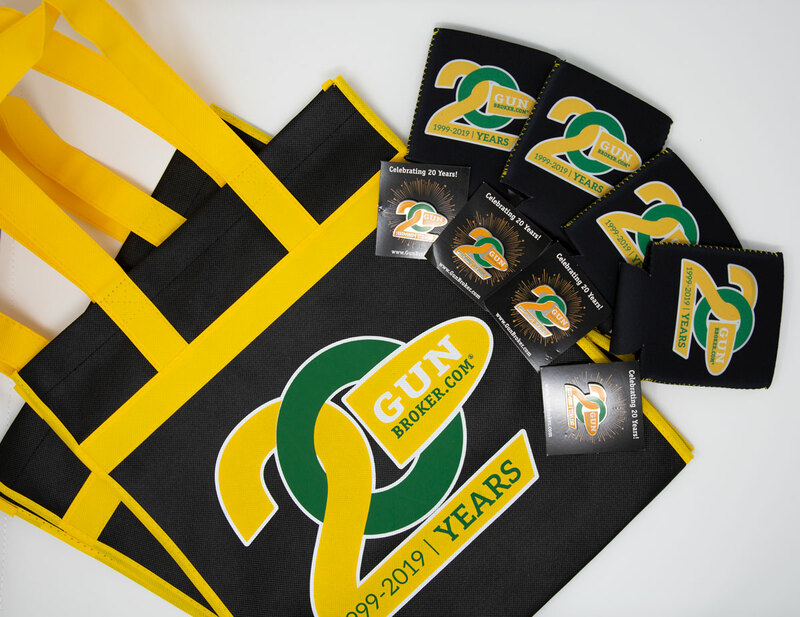 Stop by Booth #15147 and grab your GunBroker.com 20th Anniversary edition Tote Bags, pins and coozies. GunBroker.com will be hosting the SHOT Show charity auctions for the 16th consecutive year! The Hunting Heritage Trust has partnered with two iconic names in the firearms industry to create a series of highly collectible 2019 SHOT Show Auction offerings. 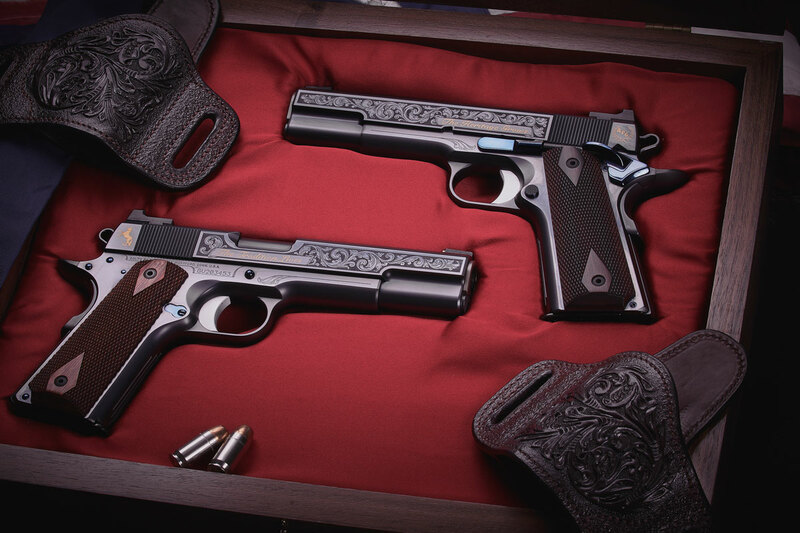 These special firearms are the first ever created for the SHOT Show Auction by Colt and Henry and Turnbull. The SHOT Show auction is administered for the National Shooting Sports Foundation by the Hunting Heritage Trust. These one-of-a-kind items will be on display at the GunBroker.com Booth #15147 all 4 days of the show, so remember to stop by before 2:00 PM PST on Friday afternoon to check out the SHOT Show Auctions. On Wednesday, January 23, GunBroker.com will be hosting an invitation-only Reception honoring the Top 100 Sellers on GunBroker.com. This reception is a chance for GunBroker.com to show our appreciation for those top sellers who help make us successful. We appreciate all of our customers, both sellers and buyers, but the partnership we have with the Top 100 Sellers is especially important to our mutual success.